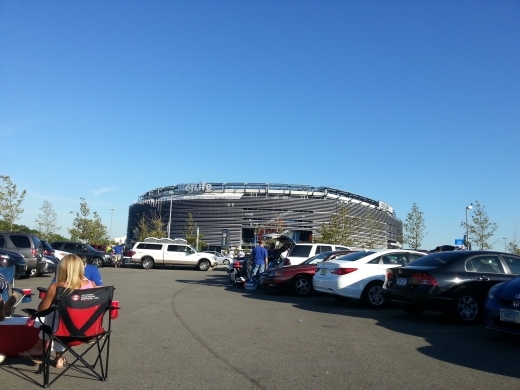 MetLife Stadium in East Rutherford City | Explore Before You Go! My experience was getting to see One Direction for the first time, and I loved it! They're performance was amazing and I want to go back to relive that moment. I was born in NY, so it was just and unforgettable. Thanks, Metlife!! Parking is too spread out. A few large parking garages would go a long way for those of us who do not wish to tailgate. Seats were ok, as long as you're not a big guy, like most guys I see there are (our seats are in row 40 near the end zone). Food is horrendously priced, and the pizza shouldn't be some fancy pants pizza- it's a football stadium, give me Domino's or even crappy Papa John's. I don't want a basil leaf making my pizza look pretty. Nathan's food was ok, and half-way-decently priced, for stadium food. Security isn't too invasive, and the staff on hand is friendly. I will call the Meadowlands Stadium by the corporate sponsored name after Snoopy slips me a few bucks. It took $1.6 billion to complete. I think someone ran off with half of that money. The NFL were unwise to put the Super Bowl there in 2014. Many out of town fans were very unhappy dealing with local traffic and/or weather. The people who run the Giants and Jets do not understand logistics. They watch games from the comfort of luxury boxes and ride around in the back of limousines. If they wanted a Super Bowl they should have built a domed stadium, but that type of thought requires common sense. The prices for concessions are astronomical even for a stadium. That is why I eat before games. I don't care about the amenities at the stadium. If I wanted prime rib I would go to a real restaurant. The parking is also a major ripoff. The stadium would charge people just for driving by if they could get away with it. The Colosseum in ancient Rome emptied in about fifteen minutes. 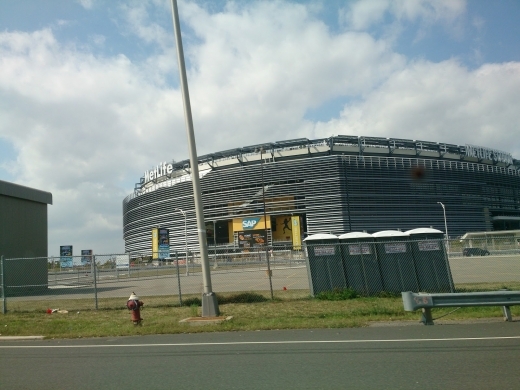 The Meadowlands Stadium takes an hour to empty. They forgot to construct enough exits for $1.6 billion. The old stadium was more than adequate. 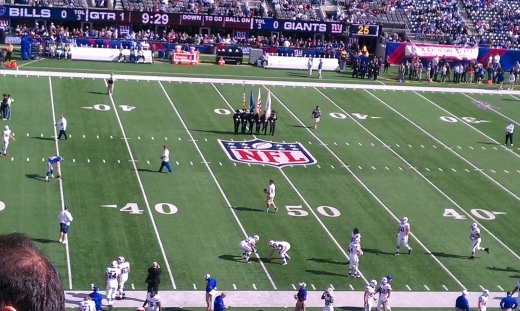 But the Giants and Jets owners were greedy for more luxury boxes. I declined an opportunity to buy personal seat licenses. They are a horrible investment. Stadium is extremely bland and is a cookie cutter. Concessions are extremely expensive. Tickets for both football teams are also expensive. There's very little leg room between seat rows. The 300 level is extremely high. If you don't like heights don't sit there. The only problem I have with this place is with the prices, the tickets and the food. They could easily offer variety of food, since of you come with kids, you find that you spent way too much. I am sure they can do something about that. It is hard to visit the met Life and not leave overwhelmed. 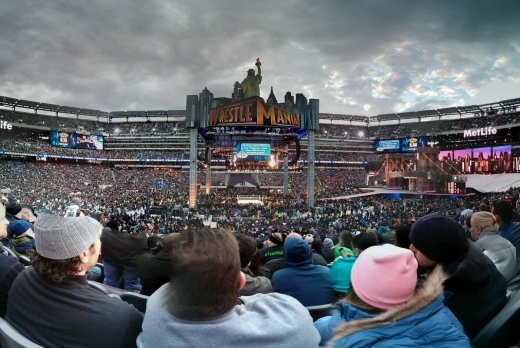 Just the energy of 60, 000 people surrounding you is already enough to have a special experience. But what I really like about the place is the order, and the way they make thousands of people arriving and leaving with no complications. Easy to get in, easy to get out. And if you include a BBQ at the parking lot at the end of the event, you are on the right way to an amazing experience. I hate crowded places, but her I had one of the best experiences in live shown and sports games. I can say that I am still surprised from how smooth everything went. Easy in, easy out. And everybody happy!